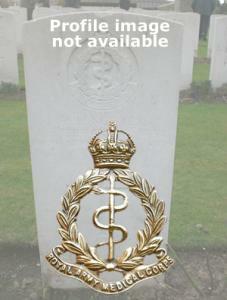 John enlisted into the Medical Staff Corps on 7th June 1898. He was 18 years and 8 months old, and was a Bootmaker by trade. He saw active service in South Africa from 1899 to 1902, and had been transferred to Army Reserve haven served his term of engagement, but was re-engaged on 13th February 1914 for a further four years. He was mobilized for war service at the outbreak of war and was posted to serve with the 4th General Hospital, however he embarked at Southampton on 12th August 1914 as part of the Regimental Medical Officer's team for the 1st Bn. The Queen's (Royal West Surrey Regiment). Disembarking at Havre the following day, he entered the war in France on 13th August 1914. On 16th July 1916, whilst attached to the 1st Bn, Royal Welsh Fusiliers, he received gas wounds and was admitted into No 45 Casualty Clearing Station. The following day he was evacuated back to the 1st Canadian General Hospital. On 15th August 1916, after he had recovered, he joined Base Details at Rouen, who posted him to serve with the 72nd Field Ambulance on the 28th. He remained serving with this medical unit until the end of the war, being transferred to Army Reserve on 22nd March 1919. He was the son of John and Ellen Brewer.